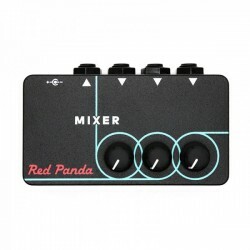 With additional knobs for wet/dry blend, pre-delay, decay, and high-frequency damping, the Red Panda Context Reverb provides complete control over the tone and color of the reverberation. 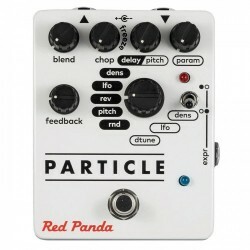 There is also an internal switch between true bypass and "trails" mode, which allows the reverb to decay naturally. The Raster is a digital delay with a pitch- and frequency-shifter integrated into the feedback loop. 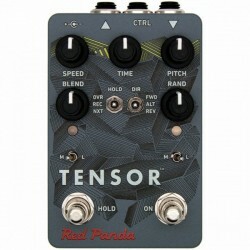 It delivers a wide range of sounds including harmonized delays, reverse delays, chorus, arpeggios, infinite descents, chaotic self-oscillation, and continuously evolving soundscapes.